Posted by David Lazo on Tuesday, March 10, 2015 in Transfer Students. The idea of diversity is kind of like the shape of an amoeba – it is always changing. Assuredly we seek out applicants from all ethnicities and races; all geographic locations and socioeconomic backgrounds; all beliefs and perspectives. But, what about those who are looking for a new college home? Transfer students add a breadth and depth of perspective that completes many collegiate communities, and it certainly completes ours. The diversity of life experience that transfer students often carry can give our community a perspective beyond the confines of campus. All required parts of either the Common Application Transfer Application or the Universal College Application Transfer Application. Our transfer application priority deadline is March 15, 2015. Note that I italicized the word priority. At Vanderbilt, we begin releasing transfer admissions decisions in mid-April and will continue to offer admission to transfer applicants on a rolling basis until the class is full. Therefore, while we will still accept an application after the priority deadline, it is in your best interest to submit your application and required materials by that deadline. I reiterate, check with each university to which you are applying – some can be quite strict about deadlines! When I reflect on my own undergraduate experience, some of my closest friends were transfer students, and I remember how much I learned from them in the classroom and over lunch. Transfer students accomplish amazing feats in life. It certainly is important to remember that academic excellence is important in any college admissions process, and that cannot be stressed enough in our transfer process as well. Life experience matters at Vanderbilt. Not convinced? I can give you 510 different rebuttals – 510+ student organizations and groups. Educators typically do not call extracurricular activities life experience for a 17-18 year high school student, though they certainly could. But especially for our transfer applicants, what you do outside of the classroom is important, like volunteering, working part-time (or even full-time), and/or serving in our military. (Vanderbilt recognizes the contributions of military veterans by participating in the Yellow Ribbon Program for eligible military veterans.) Be sure to account for your time and leadership experience to illustrate what perspective and gifts you would bring to complete our community. I have written much about the college essay in the past year and I encourage you to read through those quick posts for some general tips. I realize that even two years after high school can substantially alter how you view the world and how you view yourself. With this in mind, I offer you some additional thoughts on writing the transfer personal statement. 1) Be able to convincingly answer the question “why Vanderbilt?” While we do not ask this specific question on our application, you have now completed some college and you probably have a good idea what you want your college experience to be like. Why does Vanderbilt fit well with your educational aspirations and needs? You need to be able to answer this yourself, before being able to make a strong case for admission. 2) Better understand (and communicate) what you would like to major in upon arriving on campus. Some universities might ask you to apply into a specific major. 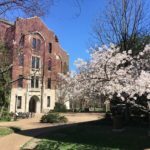 For Vanderbilt, if you are interested in the Blair School of Music or the Peabody College of Education and Human Development, you must apply into a specific major. However, if you are interested in our College of Arts and Science or School of Engineering, you technically still have some time to decide on a major. But, do not be fooled, you have fewer semesters on campus than our first-year students, so you need to able to tread a pathway towards a major relatively quickly. 3) Advocate for yourself. Unlike the first-year admission process where your high school teachers may have gotten to know you more personally, college instructors have many more students to instruct and their letters of recommendations may not be as effusive in praise or detail. Thus, your personal statement must communicate you, loud and clearly. Give the admissions committee a glimpse of who you are and through this glimpse illustrate how your life experiences would add a deeper dimension to our community. The bottom line is that we understand that your educational trajectory may be different. If so, just be sure that you communicate this throughout your application. For example, if you have taken some time off, be sure to say this in your application. Or if you have attended multiple institutions, be sure that all transcripts from all your former college institutions are sent to our office. If you have been reading my posts (or know me personally), you know that I can be quite sentimental. But, I really mean it when I say don’t be afraid to be yourself. It may be your story, perspective, and experiences that convince us that you should be a part of the Vanderbilt community. When can transfers expect a decision date for the fall 2015 semester? Thanks for the question, Malik. We will begin sending out notifications on a rolling basis to transfer applicants in mid-April. Where are transfer students housed once accepted? Transfer students live in the same housing as other upper class students at Vanderbilt. 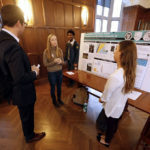 You can see more information about incoming transfers at http://admissions.vanderbilt.edu/assets/pdf/transfer2019.pdf Thanks for your question. Mr Watson, I have submitted my transfer application at march 15th, and I haven’t heard back yet at this point, does that mean my chances of acceptance is pretty low by now? have the admissions office released the majority of acceptance decisions? thank you very much! Thank you for your question, Yaoxian. Our transfer admission process is ongoing. We will continue to send notifications to transfer applicants as the process continues. Check your email and your MyAppVU for updates. Thank you! Good day! I am currently attending an online school which is convenient for our family travels. However, I am looking forward to moving to TN where I want to call it home and was looking to transfer since it will be near as well as it is an APA accredited school where I can still continue with my goal of obtaining a PhD in my future. Problem is, I do not have majority of the admission required paperwork. Will that be a problem? If so, does that mean I would have to start over again with my SAT? I took them over 12 yrs ago. Thank you for your interest in Vanderbilt. It sounds like you are a transfer student. 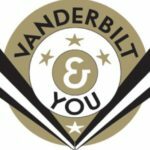 Vanderbilt considers you a transfer student if you have completed the equivalent of at least 12 semester hours of credit, after completing high school (high school degree or GED). 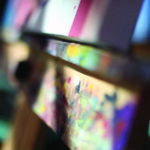 You can get more information about transfer admissions at http://admissions.vanderbilt.edu/prospective/transfer.php. We do require all items on the application checklist in order to be considered for admission. If you have more detailed questions about any particular items on the checklist or if you’d like to discuss your individual circumstances, feel free to get in touch with your Vanderbilt admissions counselor. 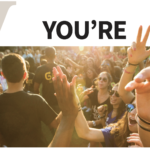 You can find your counselor at http://admissions.vanderbilt.edu/your-counselor/ If you are a transfer applicant, your counselor is based on the location of the high school from which you graduated. Thank you again for your interest in Vanderbilt. Thanks for your question, Andrew. At Vanderbilt, all transfer admission is for the fall semester – we do not admit for the spring semester. We will have more information about transfer admission for Fall 2017 as the year goes on. Again, thanks for your interest in Vanderbilt. Thanks for your questions, Arianna. We have no Early Decision plan for transfer admission. March 15 is the priority deadline for transfer applications, and we definitely encourage you to submit your application by then. Transfer students have their own move-in and orientation in August, and I do not believe they can enroll in summer courses beforehand. I suggest contacting the office of Transition Programs for more information on that question. Thanks!